In Australia the noisy and misleading petitions of the anti-wind farm lobby, and the politicians who echo these claims, tend to drown out the quiet successes that have been accumulating across the country since the industry’s inception. It is for this reason that stories like those of Ararat farmer Graeme Maconachie’s (see video below produced by our friends, the Victorian Wind Alliance) can still provide a potent reminder of wind power’s ready benefits to struggling rural economies, but also to the prospects of future generations. Projects like the 52.5MW Challicum Hills wind farm featured in the video, which has supplied the region with much needed employment, investment and emissions abatement (140,000 tones p.a) opportunities since 2002, however, are at risk. This can be chalked up to the failure of the incumbent Napthine government to rollback former Victorian Premier Ted Baillieu’s 2011 decision to impose the world’s toughest restrictions on wind farms. The creation of arbitrarily designated ‘no-go’ zones for wind farms, and a rule that requires all residents within a 2km radius of the farm’s assent before approval have halted the sector’s development. These regulations, in conjunction with the growing uncertainty surrounding the fate of the national Renewable Energy Target, continue to stifle much needed investment. The Victorian Labor Party, by contrast, has stood up in support of the renewable energy in the state, vowing to ‘rip up‘ the anti-wind farm laws which have already cost the industry, environment and state so dearly. Volunteer with Yes 2 Renewables and help us build a pro-renewables movement. Only when Victorians are active will the politicians get serious about renewable energy. Email leigh.ewbank [at] foe.org.au for more information. 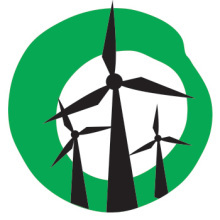 Connect with VicWind and Yes2Renewables on social media.